It is with sadness the family of Ivall “Tobe” Lawrence Trytten announce his passing on July 7, 2018 at the Kyle District Health Centre at the age of 86 years. Tobe was born on the family farm at Kyle, SK on August 13, 1931, the third son of Irven and Pearl (née Larsen) Trytten. He received his schooling at Peronne School adjacent to the family farm (much to his chagrin because he wasn’t allowed to ride his horse the ¼ mile to school) and then attended the Kyle School. After working in the British Columbia coal mines and in the logging industry after school, he returned home to the family farm. On August 6, 1955 he married Marlene Smith from Sanctuary where they took over the family farm and continued with a mixed farm operation for over 50 years. They raised three daughters, Rhonda, Karla and Debbie and one son, Darren. In 1984, Tobe and Marlene built a home in Kyle and they enjoyed many happy years there. Tobe’s love of horses started as a young boy and continued his whole life. He rode saddle bronc as a young man, then drove the big chuck wagons for several years before discovering pony chariot and chuck wagon racing were what he really excelled at. His signature chuck wagon outfit was four black ponies with a yellow wagon, yellow harness and yellow shirts. He was most delighted with the number of “pretty contests” that he won with his outfit. Tobe was an accomplished and fearless chuck wagon driver who was often called upon by his friends to drive their outfits at shows as well as his own. He made many life-long friends during his racing career. Tobe enjoyed all sports, especially hockey in the winter and was an avid Kyle hockey fan (all ages). He rarely missed a hockey event at the Kyle Sports Centre. 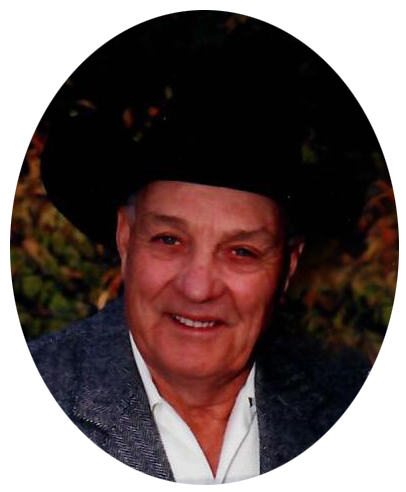 Tobe enjoyed travelling to rodeos in the summer and his love of horses was passed on to his children and grandchildren who were never without a pony to ride. He was a life member of the Kyle Elks Club (60 years) and his favorite Elks event was the annual Lutefisk and Lefsa supper. The family appreciates and would like to thank the staff of the Eston Health Centre and the Kyle Health Centre for the wonderful care Tobe received during the last six months of his life. He always bragged about how good the ‘girls’ looked after him at the Health Centre. Tobe is survived by his loving wife Marlene; daughter Rhonda (Ken) Rempel and their family, daughter Kristy (Darren) Mahan and Tad Mahan and daughter Jamie (Tyler) Packard and Cruz and Benz Packard; daughter Karla (Jim) Marshall and their family, daughter Aasa Marshall, son Jeff (Brittany) Marshall and Tessa Marshall and daughter Jimmie Jean (Brady) Bertram and Sawyer Bertram; son Darren Trytten and his daughter Cheyenne Trytten and daughter Debbie (Jerry) Makus and their family, daughter Jalene Makus and son Billy Makus. He is also survived by his brothers and sisters Boyd Trytten and Don Trytten of Edmonton, AB, Patricia Church of Coquitlam, BC, Lois (Bob) Towton of Kyle, SK, sisters-in-law Lois McDonald and Lynne (Doug Clark), brother-in-law Darrel (Darlene) Smith as well as many nieces, nephews, cousins and friends. Tobe was predeceased by his parents Irven and Pearl Trytten, brothers Gene and Cliff, niece Cathy Church and brothers-in-law John McDonald, Red Smith and Terry Church. In accordance with Tobe’s wishes, a private family service will be held at a later date. Donations in memory of Tobe may be made to the Kyle District Recreation Board (Community Sports Centre), P.O. Box 27, Kyle, SK, S0L 1T0.